Touted as the biggest announcement in Universal CityWalk’s history, yesterday’s media presentation by Universal executives detailed a multi-restaurant addition and renovation to the CityWalk lineup in order to bring a fresher, more interactive feel to the area. The venues share an overall theme that focuses on inviting common areas, fresh ingredients in original food concepts, and interactive dining experiences with open kitchens and fully customizable dining options. What’s coming? Take a look. 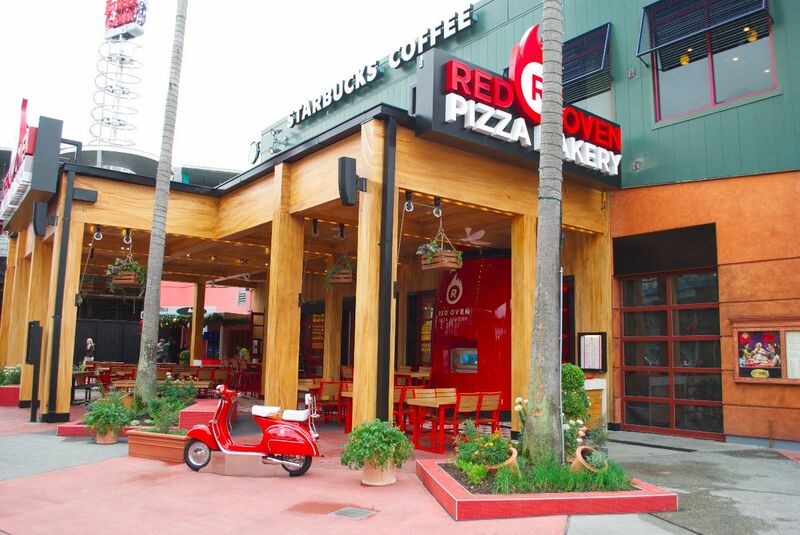 Already in place on the lower level of Universal CityWalk in the former Pastamore market space, the recently-opened Red Oven Pizza Bakery is the first in the lineup of new eateries slated for the expansion. Opened in mid-November, the pizzeria is billed as an artisan pie bakery with the freshest of ingredients and a 900-degree stone-lined oven that bakes your custom pizza in a matter of a few minutes. The menu includes five red pizzas (tomato sauce) and five white (alfredo sauce) along with a host of fresh toppings, salads, and drinks. Meals are ordered at the counter and served table-side with the option to watch your meal being crafted in the open-air kitchen. Pies are large enough to serve two and range in price from 12 to 14 dollars each. Drink refills are free. Red Oven serves in-restaurant and carry-out, and if the restaurant is brimming, they’ll even deliver to CityWalk waterfront bars. Red Oven is sure to become a guest favorite for a fast but fresh meal. At soon-to-be-completed Antojitos, the order of the day is unique and cravable tapas-style Mexican food featuring handcrafted tortillas, made-while-you-watch guacamole, and fresh sauces for a taste of Mexico City. 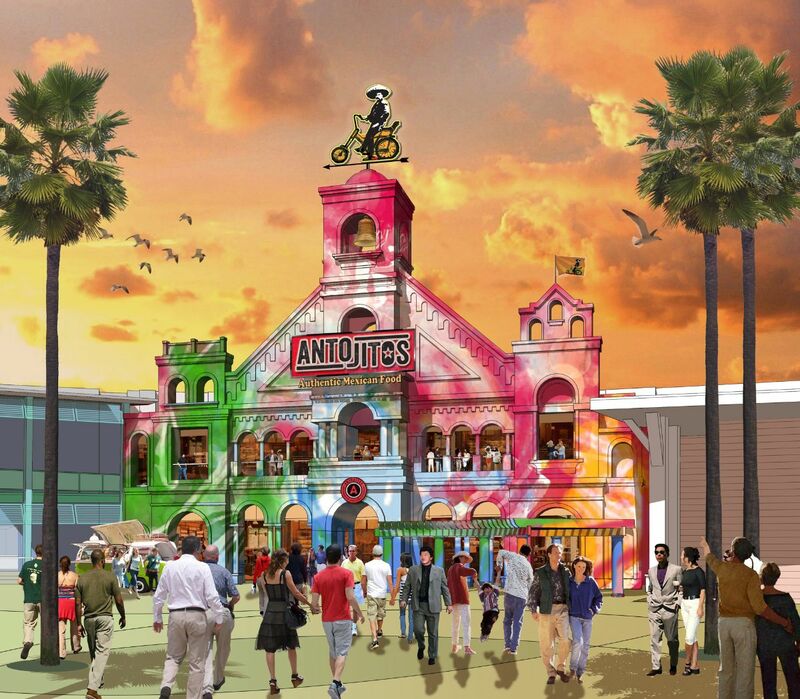 Antojitos is a Universal Studios concept, one of four introduced by the entertainment powerhouse for this project. Again the concepts of fresh, handcrafted food and vibrant common areas with room for many were were highlighted with emphasis put on the guest’s individual dining experience. Universal executives stressed that the concept is to make meals unique with open-kitchen environments and tailored ordering options so that Universal visitors feel that the dining has been part of their day rather than a break from the entertainment. Antojitos is still under construction in the Latin Quarter space, but progress on the building suggests an opening within the next couple of months. Born of a need for space and the resulting friendship formed between the owners of a gourmet burger joint and a sushi bar in North Carolina, The Cowfish is a one-of-a-kind dining concept that melds pan-Asian cuisine with the heart of the American food repertoire to bring its guests the “first and only sushi burger bar”. The Cowfish makes its name with innovative fusions of burgers and sushi, named mashup-style as “Burgushi”. And while the menu is robust with adventurous offerings like the Mediterranean Lamb Burger, it is also family-friendly and fully customizable with an impressive list of add-ons and sides. Atmosphere bumps like touch-screens at the sushi bar that let guests create and drop a fish into the virtual fish tank are sure to be popular, as is the variety and creativity of the dishes offered. The Cowfish is competitively priced at around $12 for a gourmet burger, so look for the venue to become a popular addition to the CityWalk’s second level, where Starbucks currently resides. 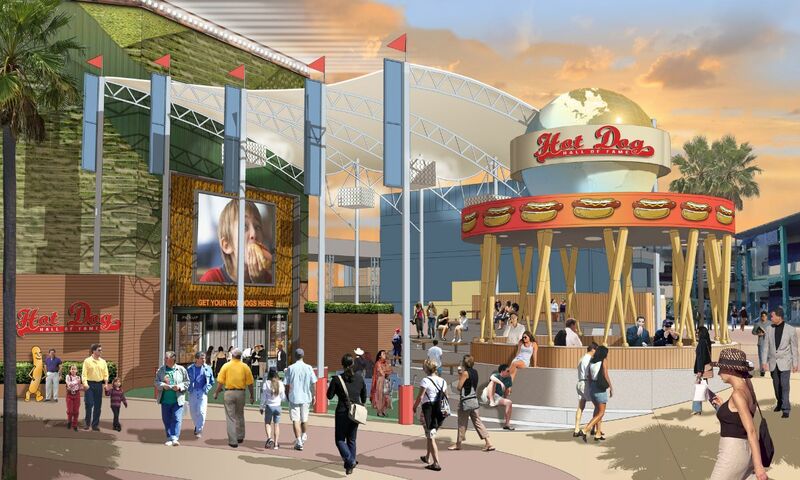 Developed by Steve Schussler, the creative force behind Rainforest Cafe and T-REX, Hot Dog Hall of Fame is a tribute to the iconic baseball park food. From the mustard bar curated by the National Mustard Museum in Wisconsin, to famous dogs from ballparks across the nation like the Dixie Dog and the Dirty Water Dog, to stadium seats from the most famous of diamonds, the Hot Dog Hall of Fame will resonate with baseball fans with its museum-like environment and possibly bring some visitors into the Dodger Dog fold. The restaurant, itself, will feature large-screen televisions and bleacher-type seating for those interested in catching a game. No matter what, given its theming, it’s likely that the Hot Dog Hall of Fame will become a popular stop. The restaurant is slated to take the place of the current Galaxy Bar. Homemade bread, quality deli meats, and the freshest of produce in classic sandwiches constructed while you watch are the hallmarks of Breadbox Handcrafted Sandwiches, the Universal concept sandwich restaurant that will reside next to the AMC Theater in place of Cigarz and possibly Candy Co. The name recalls a time when bread was baked in the morning and sandwiches were an art, and Universal is hoping to bring those comfort-food feelings back with their creations. If the view from the window adjoining the theater lobby doesn’t pull you in, maybe the smell of freshly baked bread will. Rounding out the additions and changes are: Menchie’s Frozen Yogurt, featuring pay-as-you-weigh gluten-free, dairy-free frozen yogurt with all the mix-ins you can imagine; Cold Stone Creamery, serving fresh ice cream, cakes, and smoothie; and Starbucks, which will be moved to the lower level in place of Endangered Species and be expanded for an area more conducive to a coffee break. There is also a final concept restaurant described as a pasta-made-before-your-eyes format that will replace Pastamore. Tentatively named Pranzo, the Italian eatery will feature culinary teams and scratch-made dishes for an intimate and contemporary dining experience. Also briefly discussed during the presentation were a Universal Studios Store complete overhaul and additions to The Wizarding World of Harry Potter comprised of Diagon Alley and the London landscape it resides behind, as well as the Hogwarts Express, which will travel between two theme parks on its journeys between Hogsmeade (in Islands of Adventure) and London (in Universal Studios Florida). It was revealed that Diagon Alley will feature the Leaky Cauldron in its intended restaurant form. It is not currently known whether a multi-park ticket will be offered to guests who wish to experience the entirety of The Wizarding World of Harry Potter. Stay tuned to the Touring Plans blog for construction updates and announcements as more about the Universal Studios expansions is announced. If the Menchies’s is like the one where my son works they will also have Dole Whip. Meh….looks like a bunch of average chains. 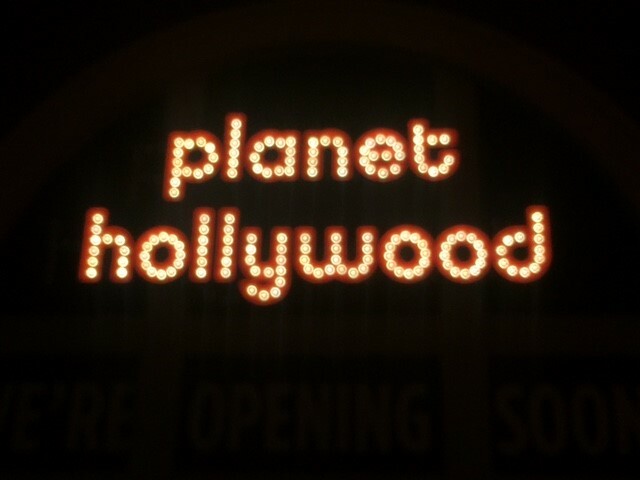 I would like to see some other fine dining venues in Universal, but alas more of the same. Red Oven, Antojitos, Breadbox and Pranzo are brand new Universal-only concepts. Hot Dog Hall of Fame and Cowfish will be the first of their brands in the region. Menchies and Cold Stone are the only “average chains” being added. Obviously none of these are up to the level of Emeril’s and Bice (I would add The Palm to that category) but they look to be a step up from Pastamore or NASCAR in quality and creativity, and all are certainly better than another Panda Express. 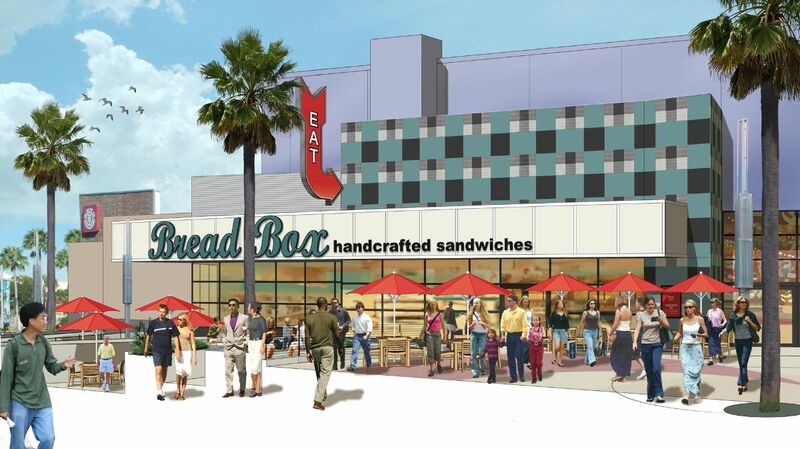 Cowfish, Antojitos, and Pranzo look to be best-of-their class for the area, and Breadbox should go head-to-head with the ultra-popular Earl of Sandwich. I wouldn’t mind one or two more fine-dining options at UOR, but that would probably be better off at a hotel. The market trend is towards mid-scale fast-casual and elevated family-friendly dining with an entertainment twist, which is exactly what these venues promise. 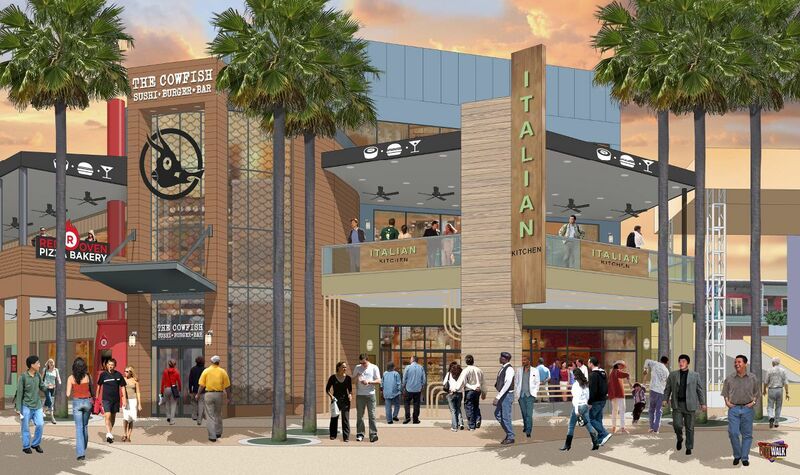 Put this up against the proposed restaurant lineup for Disney Springs and I think it compares quite favorably. Also keep in mind that this is only part one of CityWalk’s makeover; look for more on the other side of the canal after Diagon Alley opens.